Flack an interesting little platformer! One some of you may have missed is Flack a cute little platform game for £1.99! Help Flack vanquish the evil enemies that overrun Rolotopia as we speak. Beware brave adventurer, The Hand is always watching! 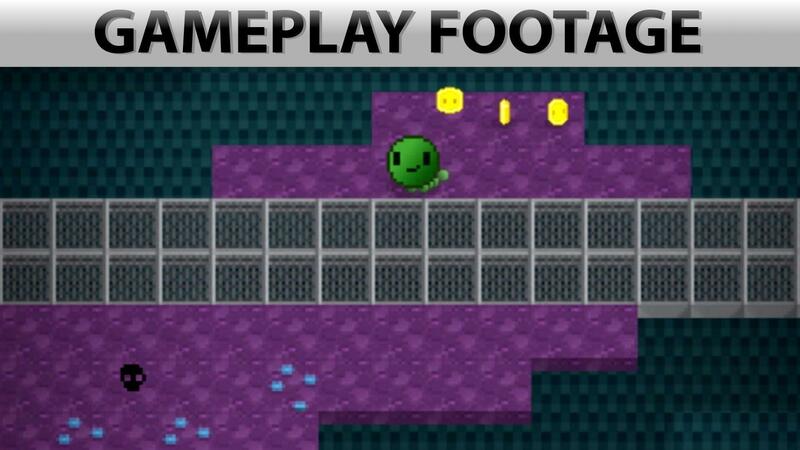 Flack includes: 4 environmentally unique chapters, a built-in Level Maker Tool with shareable map files and an option to play randomly generated levels. Worth checking out since it has the level editor as well, could make it quite fun! Cute, though the graphics are very primitive. When people complain that they wouldn't pay more than $2 for Dirk Dashing 2, I should point them to this game. "Here's what $2 gets you. If you're happy with that, cool. Otherwise, stop whining about my $10-$20 platformers." Haters always gonna hate, best to just ignore the trolls. Nice concept! I like the colours in the game, even though the graphics are simple. However, must you rip off that Mario pipe jump sound? It belongs to Mario and everything else seems like a cliche with it.